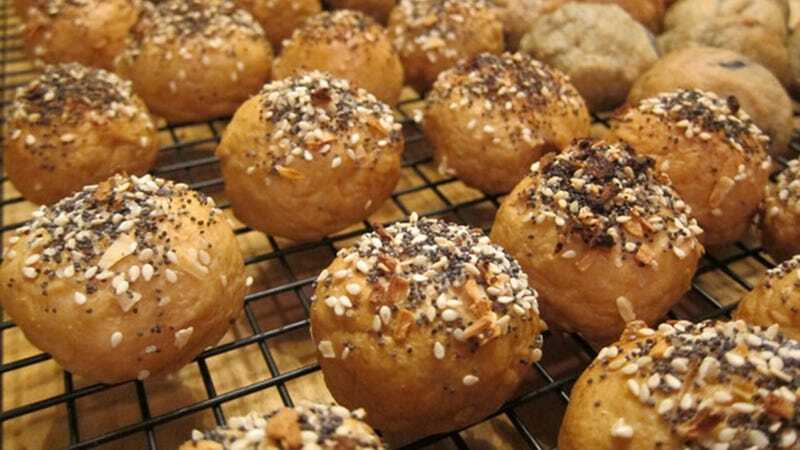 These are Bantams, a circular bagel bite stuffed with a variety of fillings and delivered straight to your mouth hole without worrying about lifting that heavy knife to butter the damn thing. I can get behind it, because it's basically just delicious dough fatty cream bomb. They're now available exclusively in the West Village at Bantams Bagels, so I guess we all have to travel to New York City to gorge ourselves. Is this better or worse than a cronut? It must be one or the other. Please discuss.